*With approved credit. Estimated monthly payment based on $2,600 down, 72 months at 5.9% APR. IIHS Top Safety Pick+. Only 27,454 Miles! Scores 41 Highway MPG and 31 City MPG! This Honda Civic Sedan boasts a Regular Unleaded I-4 2.0 L/122 engine powering this Variable transmission. Window Grid Antenna, Wheels: 16" w/Full Covers, VSA Electronic Stability Control (ESC). Valet Function, Trunk Rear Cargo Access, Transmission: Continuously Variable (CVT), Tires: P215/55R16 93H AS, Systems Monitor, Strut Front Suspension w/Coil Springs, Steel spare wheel, Sliding Front Center Armrest, Single stainless steel exhaust, Side Impact Beams. IIHS Top Safety Pick+, NACTOY 2016 North American Car of the Year, KBB.com Brand Image Awards. 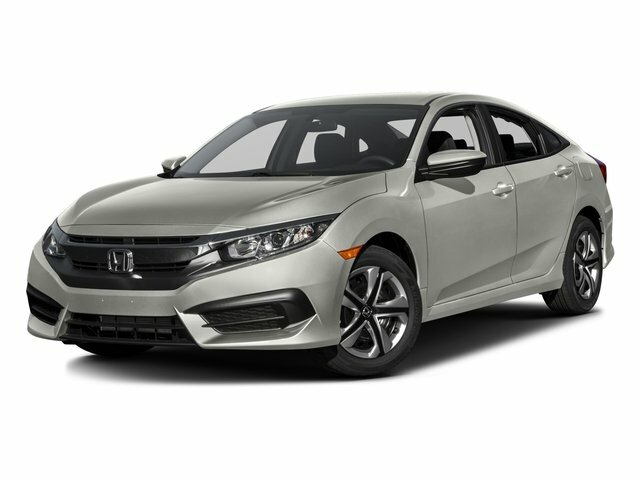 Test drive this must-see, must-drive, must-own beauty today at DCH Academy Honda, 1101 US Highway 9, Old Bridge, NJ 08857.